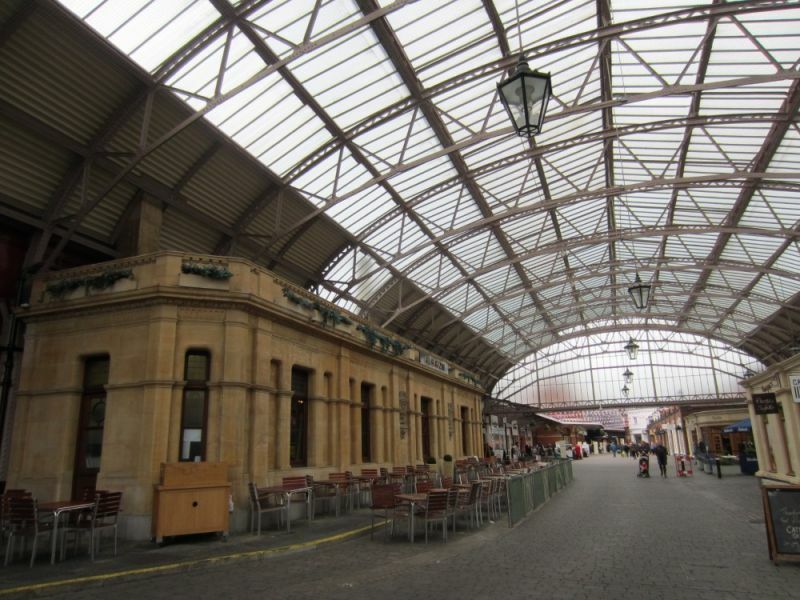 Dutch gable over concourse entrance which has broad segmental glazed girder roof. end bays The glazed roof dies into lst floor. Pedimented 1st floor windows.